Now that Vodafone has joined the 4G race in Australia, Telstra and Optus are lifting their game. Telstra today has promised that by Christmas, 85 per cent of Australians will have 4G coverage. More than 200 additional regional towns are destined to be bathed in LTE goodness by the end of the year, including Batemans Bay in New South Wales, Margaret River in Western Australia and Colac in Victoria, among others. 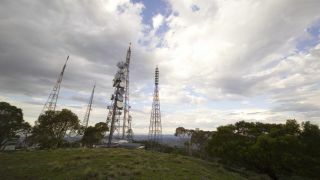 Having launched first Telstra's 4G coverage map is already the widest across the country, with 66 per cent of the nation covered already and more than 2000 4G base stations deployed. But the new announcement will see another 1500 base stations upgraded by the end of the year. Residents of the outer suburbs in capital cities will also see some advantage to the network boost, bringing them up to speed with more than 100 regional centres around the country. ""Last August, we committed to extending our 4G coverage to 66 per cent of Australians by June 30. Having met that target, we are now committing to have superfast services in place for 85 per cent of the population by the end of the year by upgrading another 1500 base stations before Christmas," said Brendon Riley, Telstra's Chief Operations Officer in a statement. "We already offer 4G services in approximately 100 regional locations and this new expansion will take 4G services to more than 200 new towns and increase our capital city footprint across many more suburbs," Mr Riley added. Perhaps to counter the message of Vodafone's 20MHz of contiguous spectrum around the country, Telstra also drew attention to its own 20MHz in Brisbane, Adelaide and Perth. 4G customers on the network in these locations will be able to experience even faster speeds with Category 4 devices like the recently announced Huawei Ascend P2. For those not wanting the P2, Telstra still has 27 other 4G devices on offer.